36" Franklin style Sundance cupola with louvers on a 30' standing seam roof. 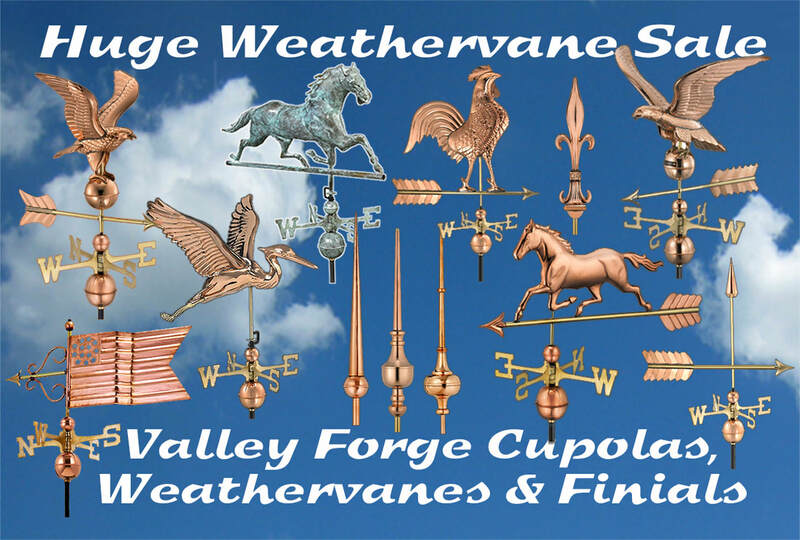 These are a very special group of cupolas. They come in many styles and color combinations. 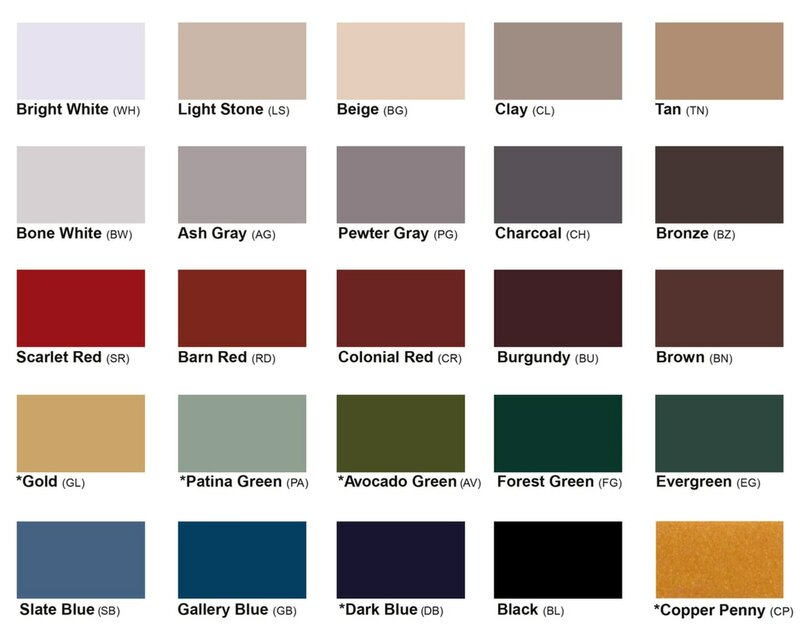 The color chart is shown below. We also will cut out your roof pitch on the Sundance styles. 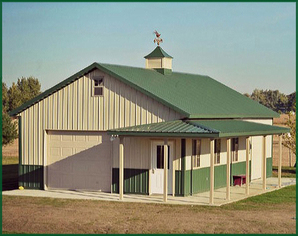 These cupolas are crafted using cellular pvc-vinyl with a metal roof and base and can match most building color combinations. 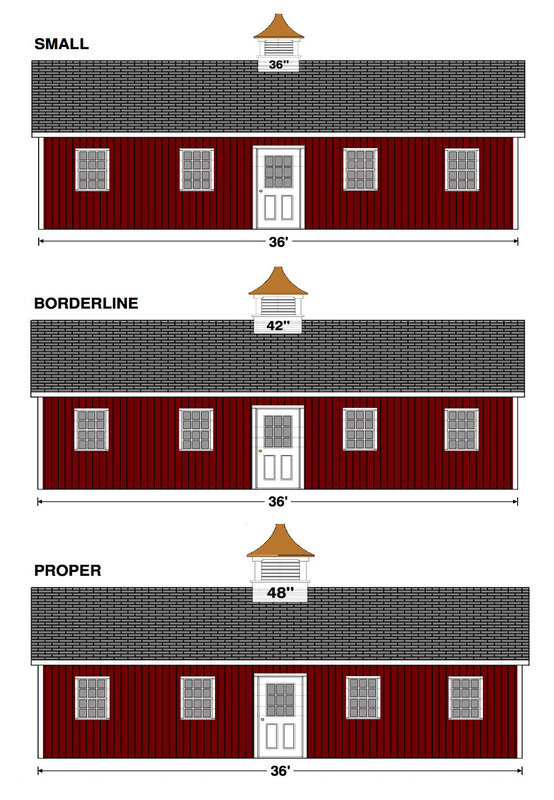 These cupolas are available in four or eight sides as shown. Add a lantern or light to get the effect of the cupolas shown above photo. 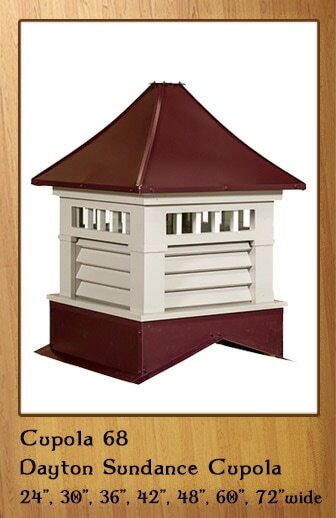 The Franklin style is the four sided louver Sundance style cupola. 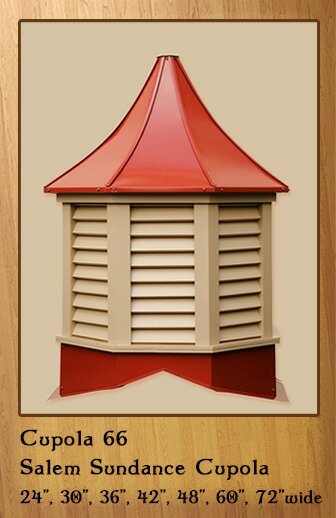 The Salem is the six sided louver version of the Sundance cupolas. 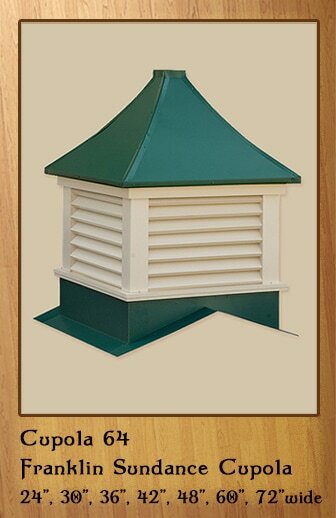 The Franklin style is the four sided louver Sundance style cupola now with arched louvers. Call 866-400-1776. The Winchester shows the six sided window Sundance cupola style. 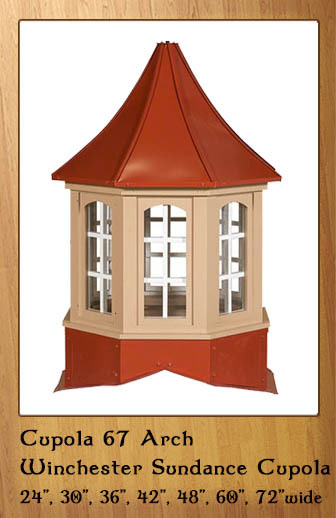 ​ Sundance style cupola now with arched windows. Call 866-400-1776. The Winchester shows the six sided window Sundance cupola style now with arched windows. Call 866-400-1776. The Salem is the six sided louver version of the Sundance cupolas now with arched louvers. Call 866-400-1776. The Dayton is the newest style Sundance cupola with both windows and louvers. Above you can see our 30" wide Milford style cupola with Arches go from Day to Night. 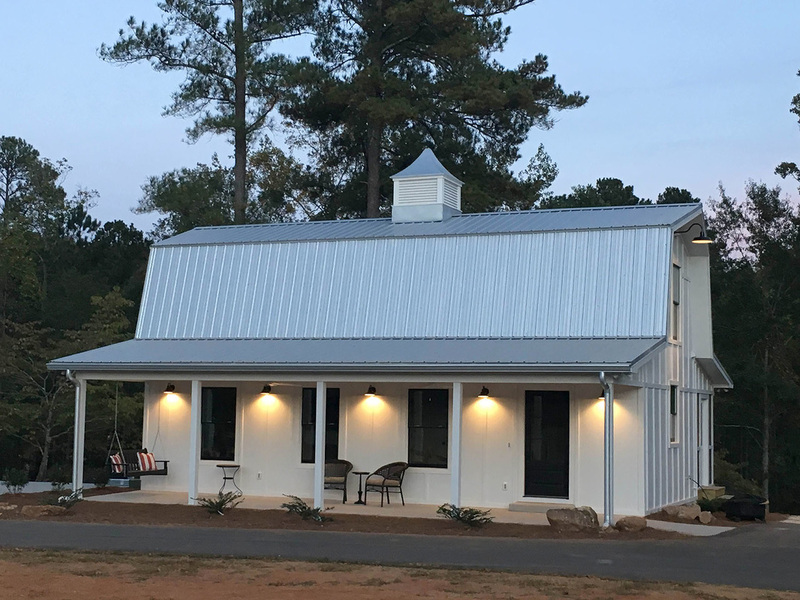 The cupola is shown on a 24' wide minibarn that our customer lit with an LED strip. 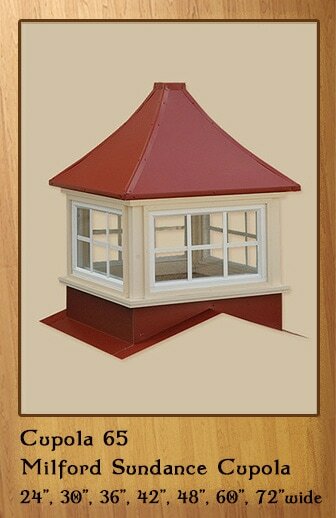 Brighten up your roof with one of our cupolas. Here is a photo from a very happy customer. look at this 48" Franklin Sundance style metal cupola on a 42' roof. The cupola looks great and has a Galvalume Roof to match the barn roof. Above you can see a 36" Franklin style Sundance cupola on a 30' outdoor pavilion. This cupola looks fantastic! 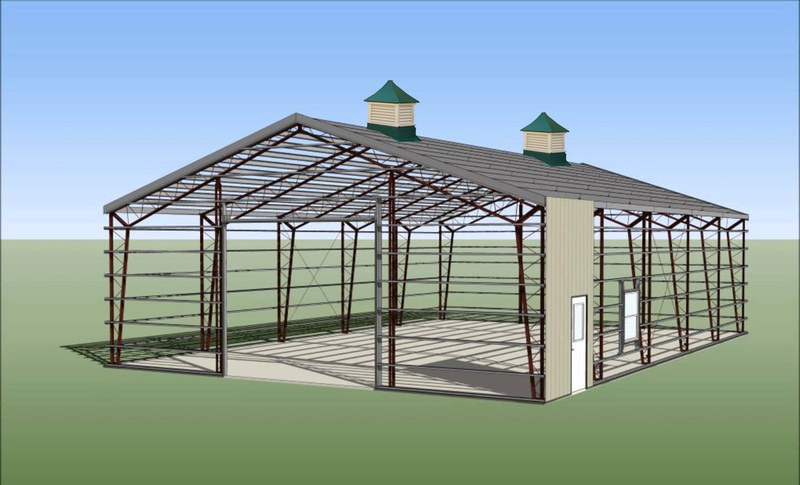 The above photo shows a 64' building with two 48" Metal Sundance style cupolas. 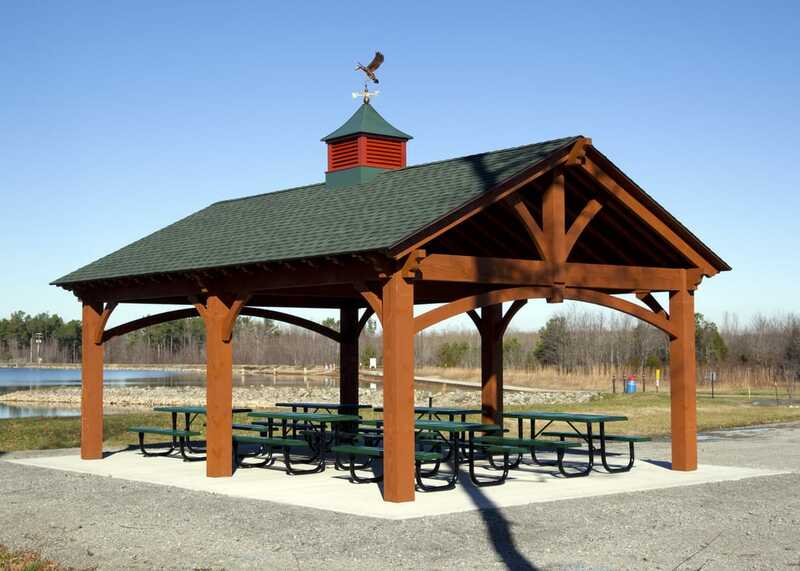 The Sundance ​Series are crafted using cellular pvc-vinyl with a metal roof and base. ​Please send us a photo of your building. 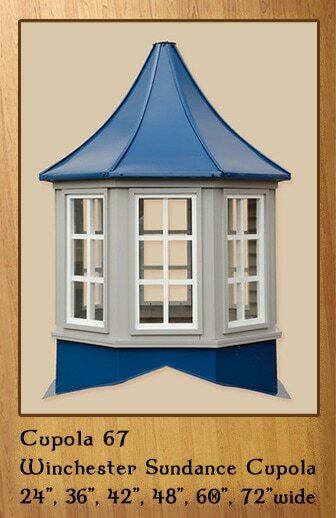 We can do a digital quote showing how our cupola will look on your roof.